These days, karate lessons have become something of a cliche. Whenever anyone mentions the term, people immediately envision herds of little children wearing white pajamas and screaming “HIYAH!” in unison. But martial arts are so much more than just karate lessons, and Cohen Brothers Training Centers in Vernon Hills is much more than a place to send your kids for karate classes. Unlike many karate schools in the Vernon Hills area, we don’t have a cut off point for student ages. 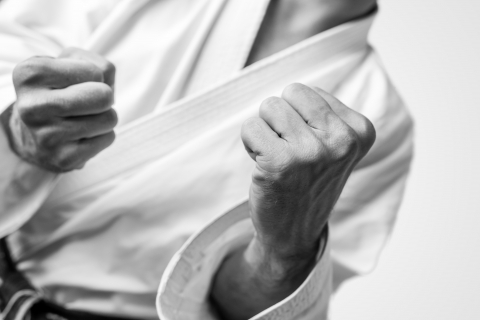 We offer judo, jui jitsu, wrestling, and mixed martial arts training for teens and adults who are serious about achieving a new level of accomplishment in their chosen sport. Get In Shape – Going to the gym can be boring and running is torture. Get both strength and cardio training by signing up for wrestling or judo classes at Cohen Brothers. Meet New Friends – Finding it hard to connect with people who share your interest in mixed martial arts? Join our training center and you’ll get to spend time with lots of athletes who enjoy wrestling, judo, and jiu jitsu as much as you. Take It To The Next Level – Want to improve your win/loss record? Looking to achieve a new belt? Learning how karate fits into the larger world of mixed martial arts is the first step. Let the experienced trainers at Cohen Brothers hone your skills. Interested in? Don’t just settle for any karate lessons in Vernon Hills. Experience the difference at Cohen Brothers Training Centers today. Sign up online now!